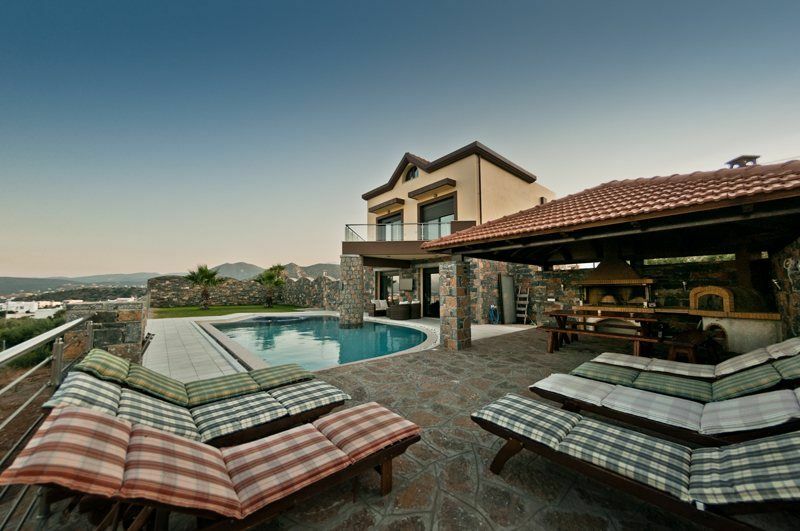 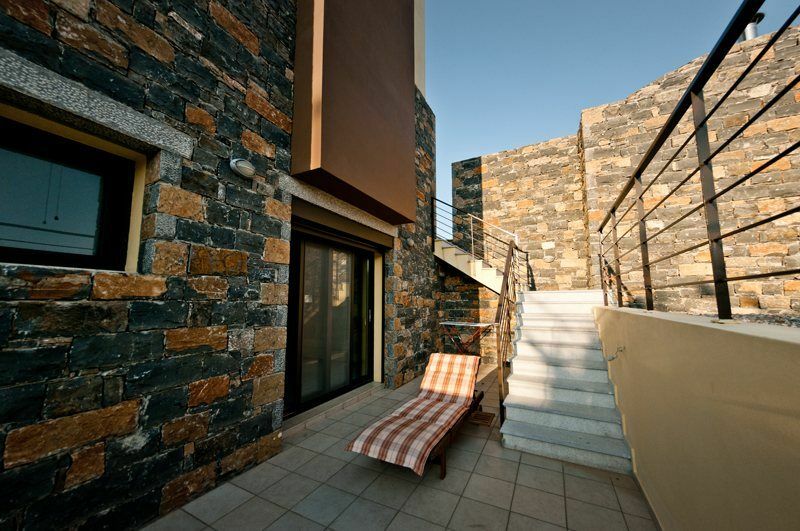 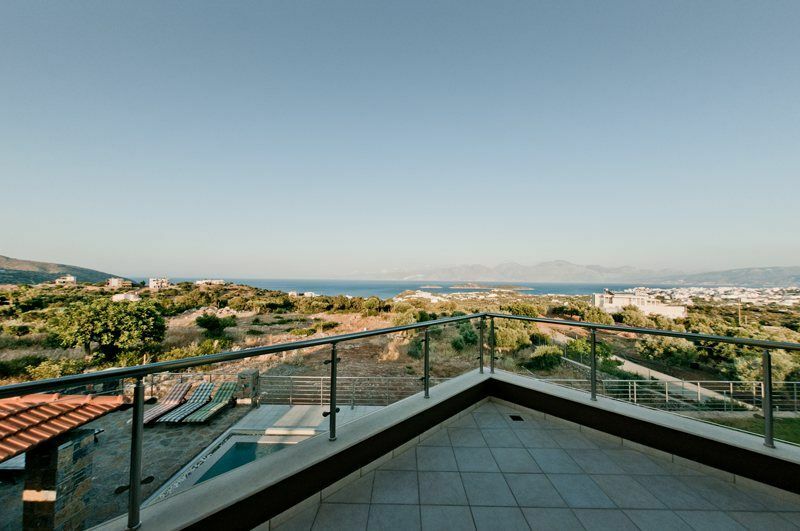 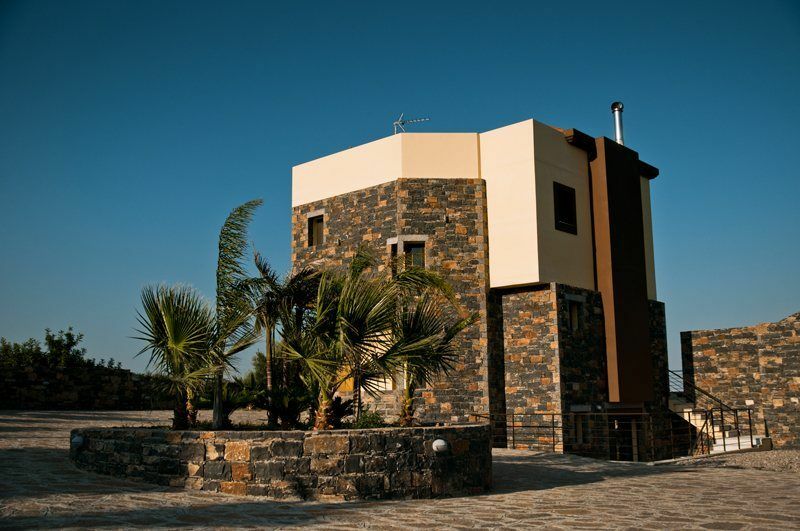 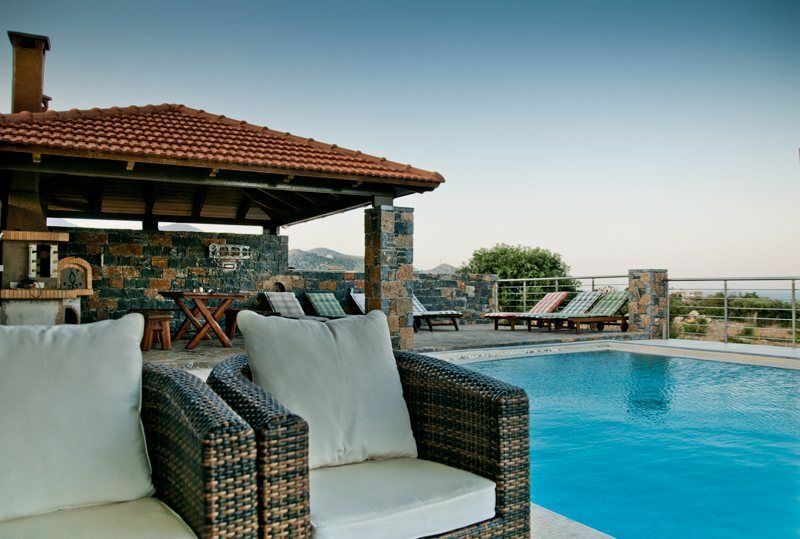 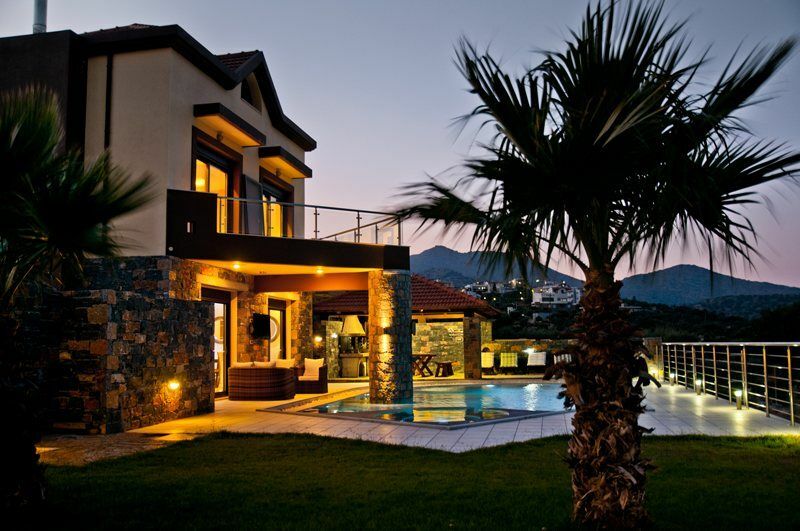 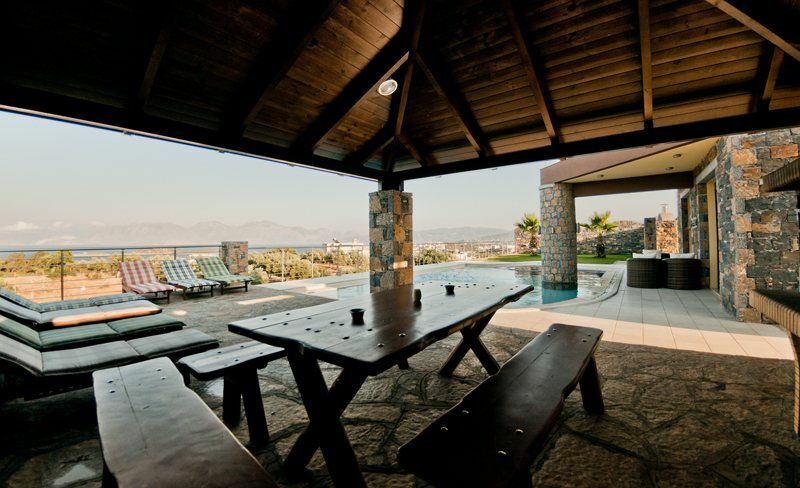 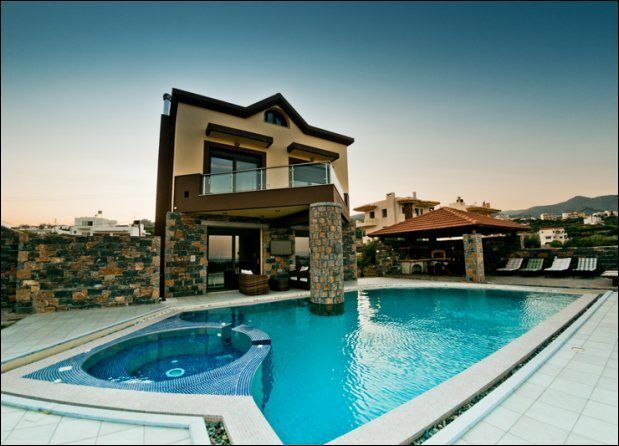 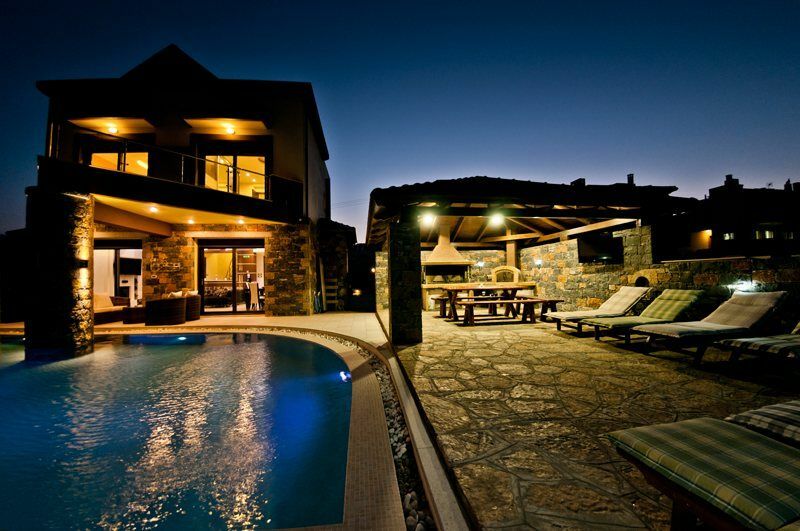 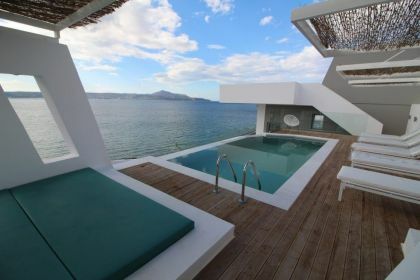 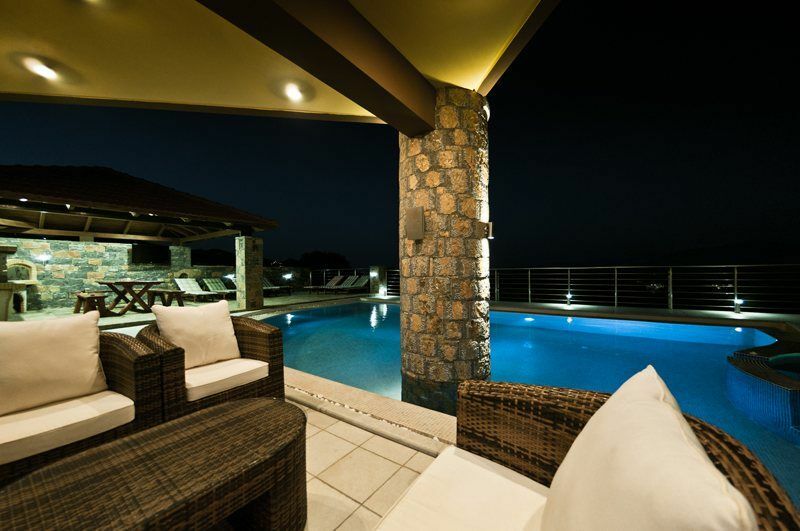 Villa is located in the east Crete close to the resort town of Agios Nikolaos. 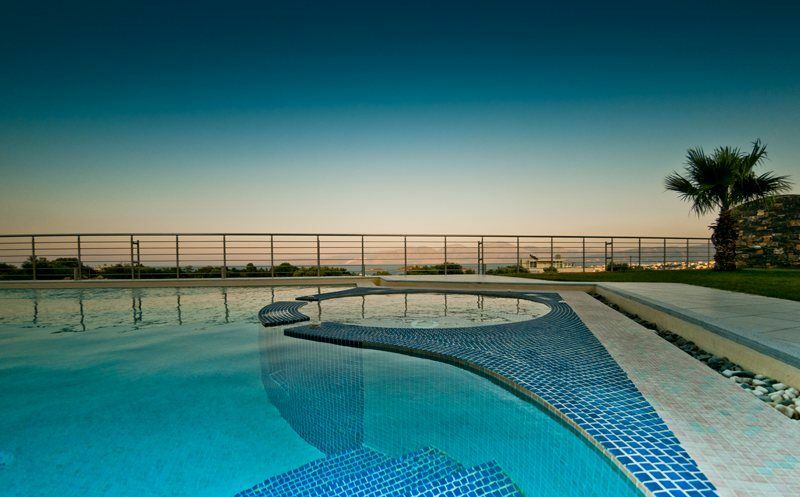 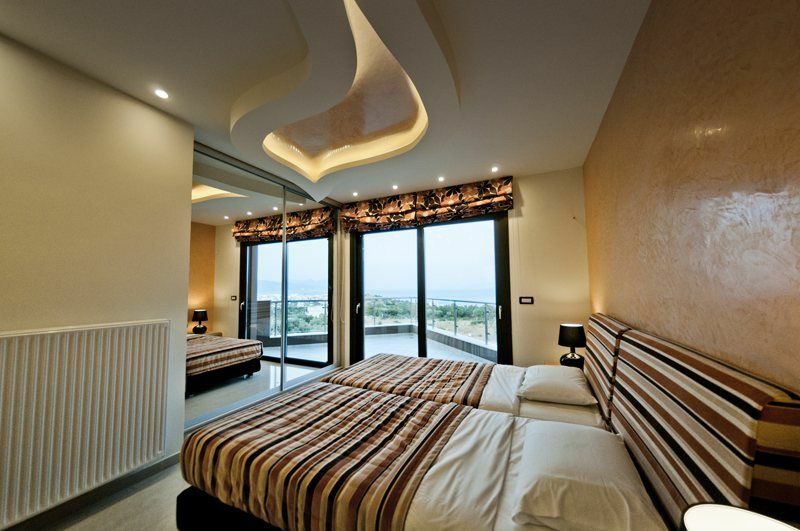 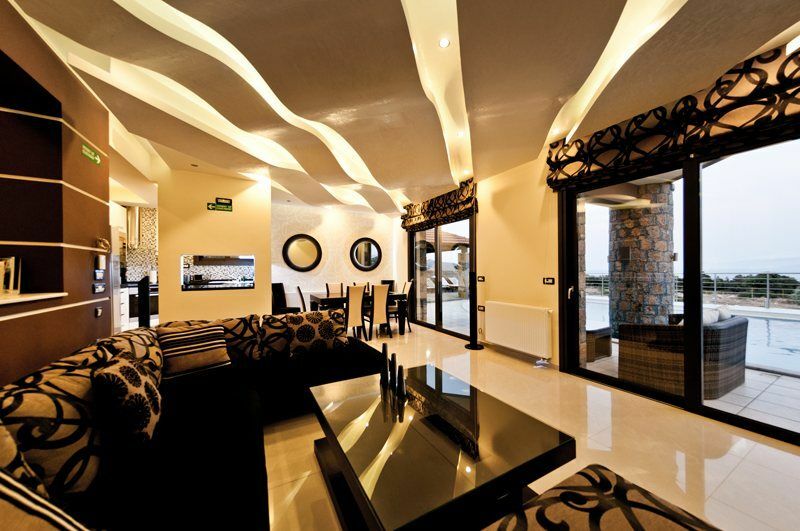 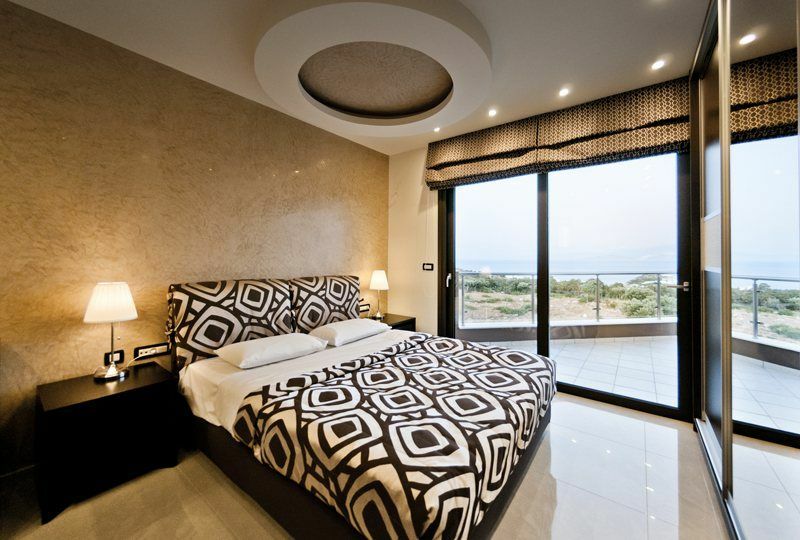 It has an area 200 sq m, spacious design and panoramic sea view to the Bay of Mirabello. 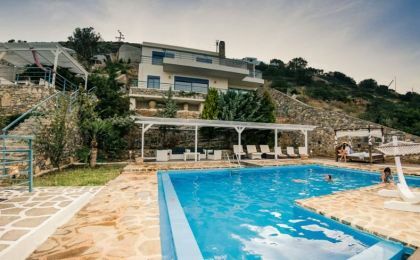 There are lawn, BBQ and swimming pool 65 sq m with Jacuzzi in the garden. 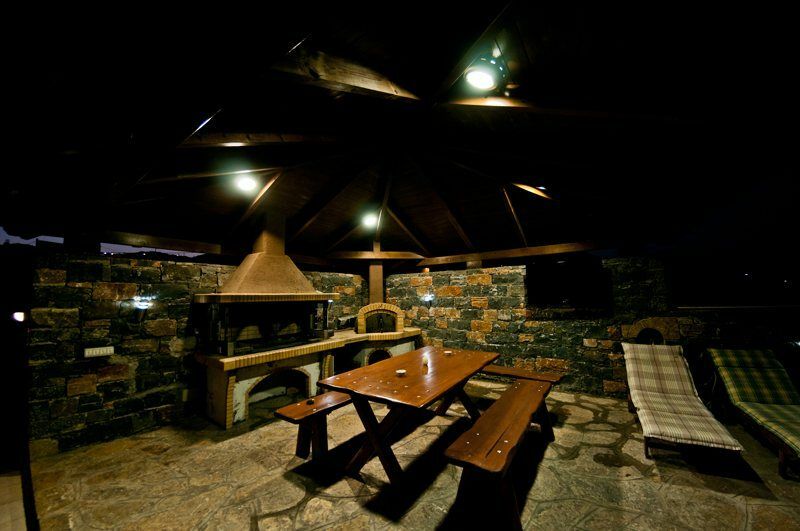 Stepping into the villa you will find comfortable living/dining room with fire-place, well-equipped kitchen and w/c. 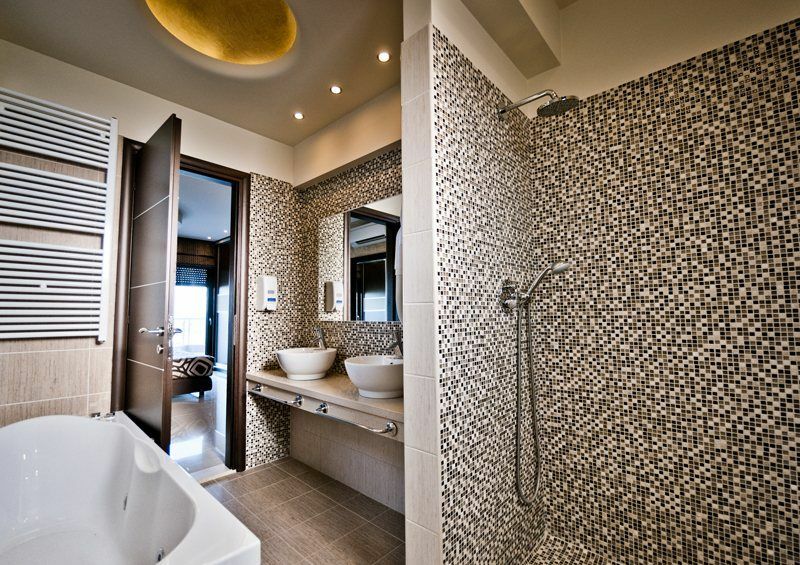 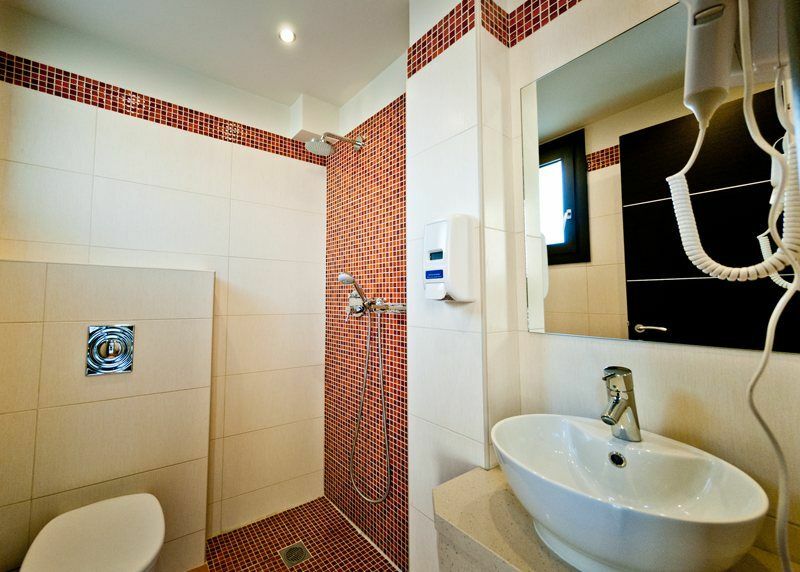 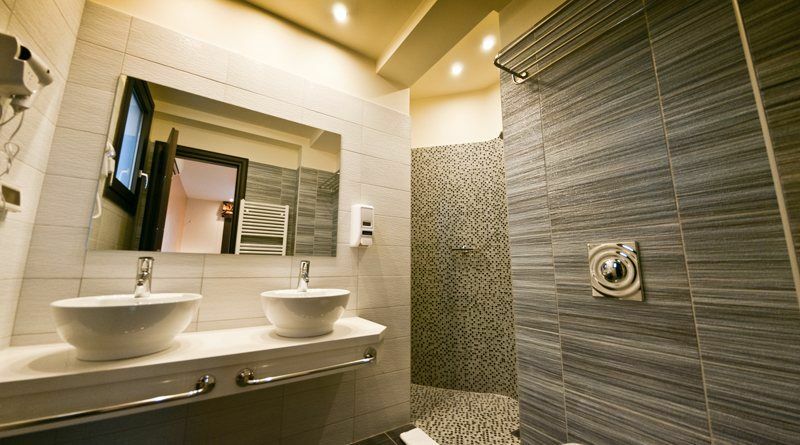 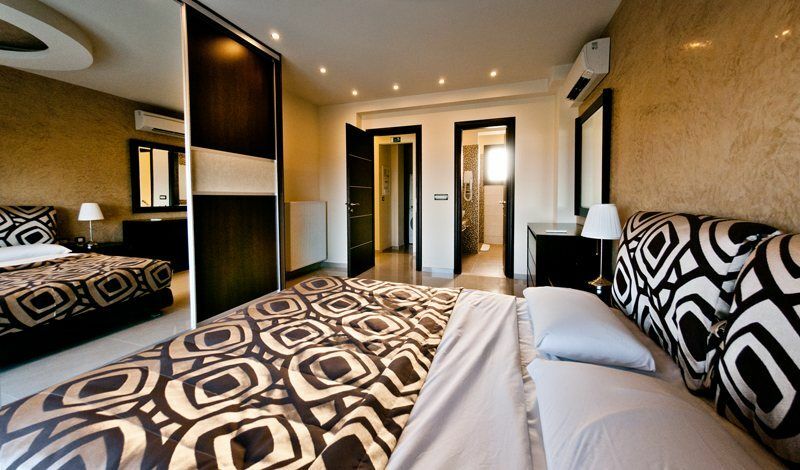 On the first floor there are double bedroom en suite with Jacuzzi and shower, twin bedrooms with en suite shower room. 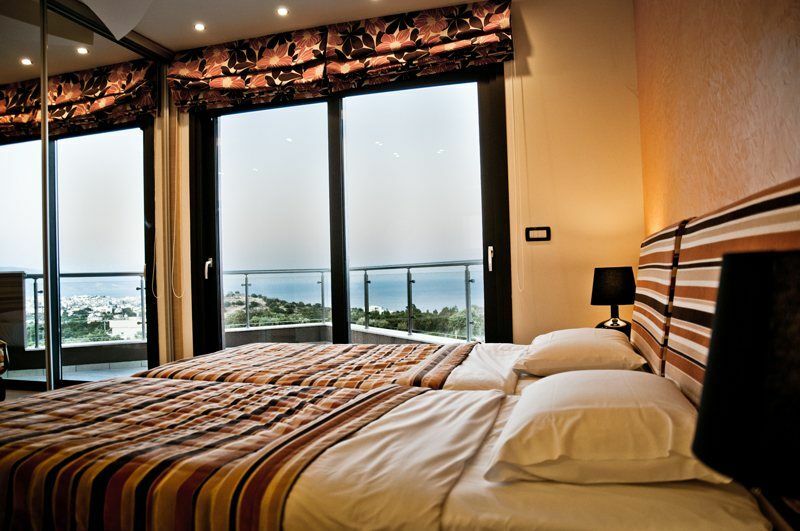 The bedrooms have access to the large balcony overlooking the pool and garden area. 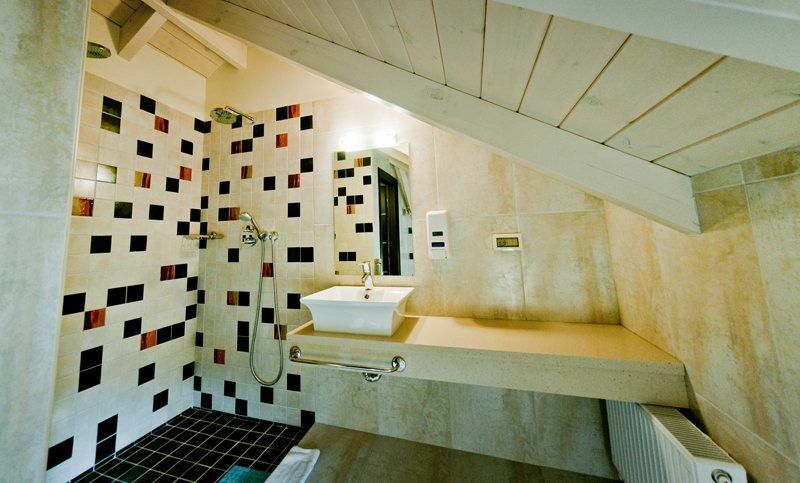 The second floor has twin bedroom with en suite shower, the room has hexagonal shape. 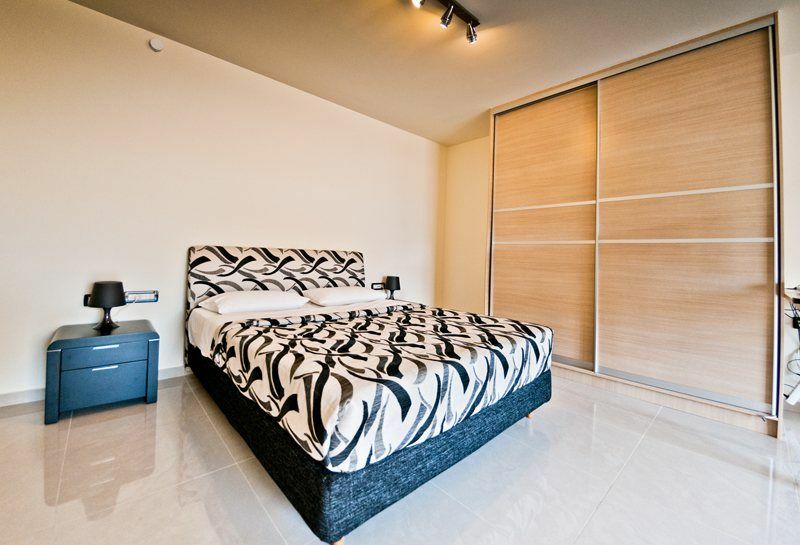 Two twin bedrooms host continental beds that can be made up as doubles or twins. 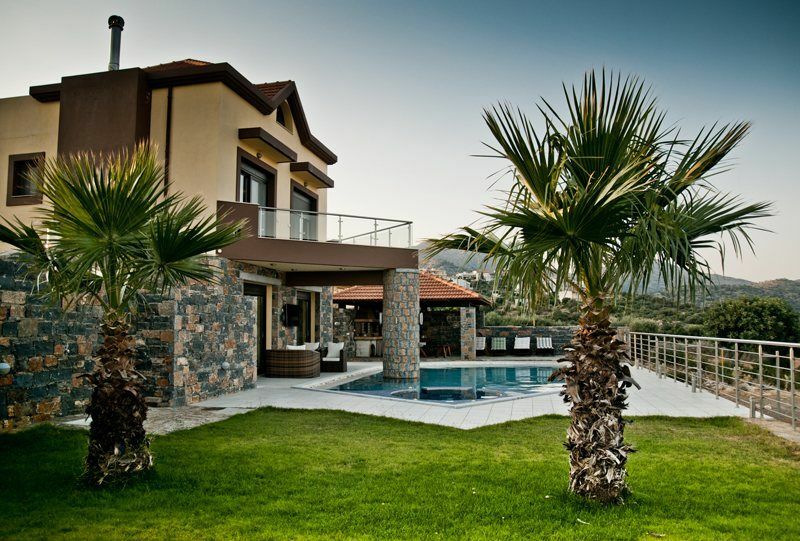 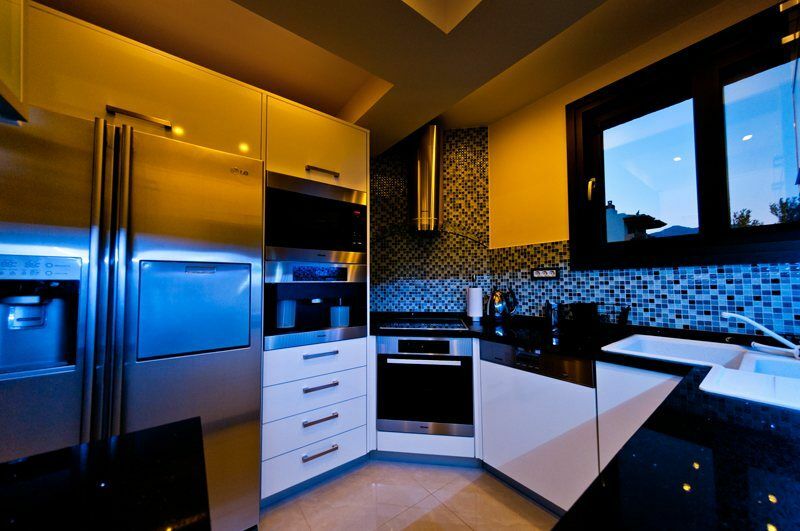 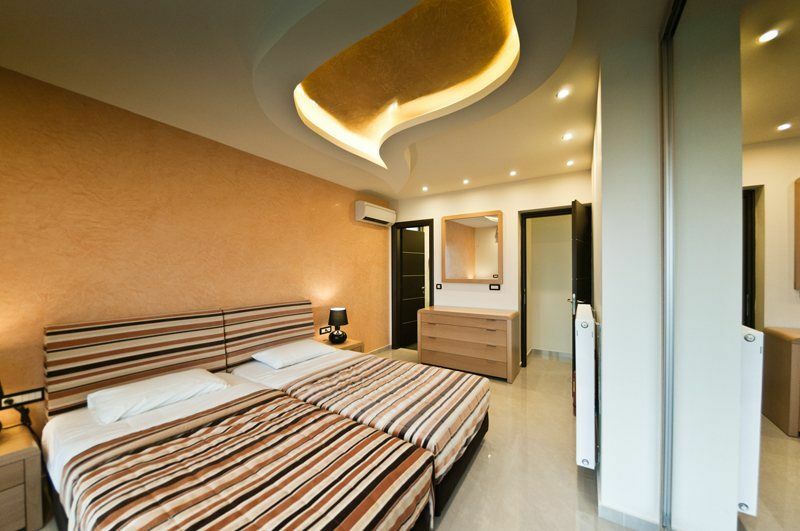 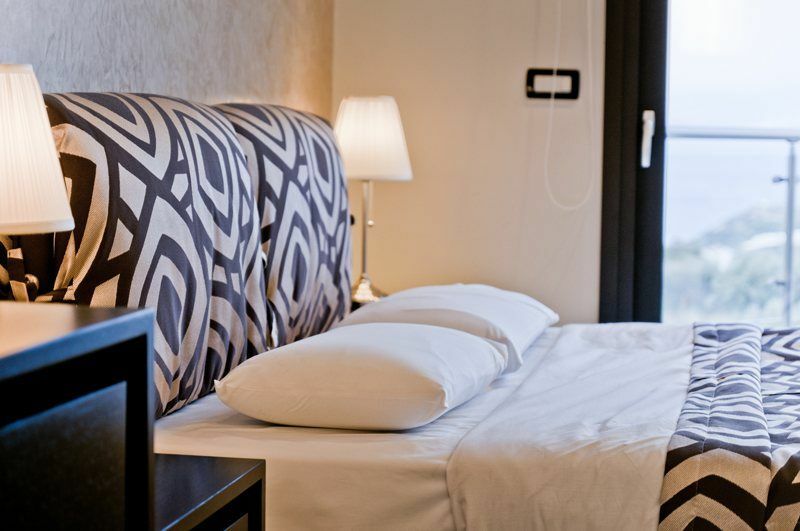 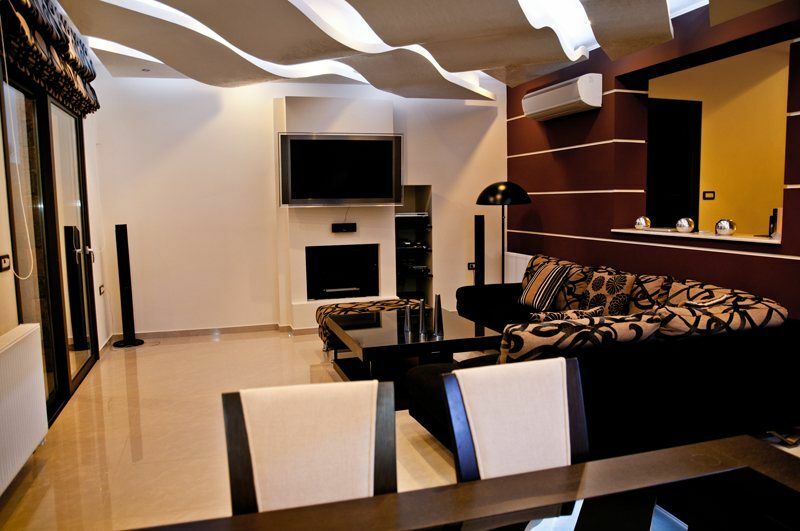 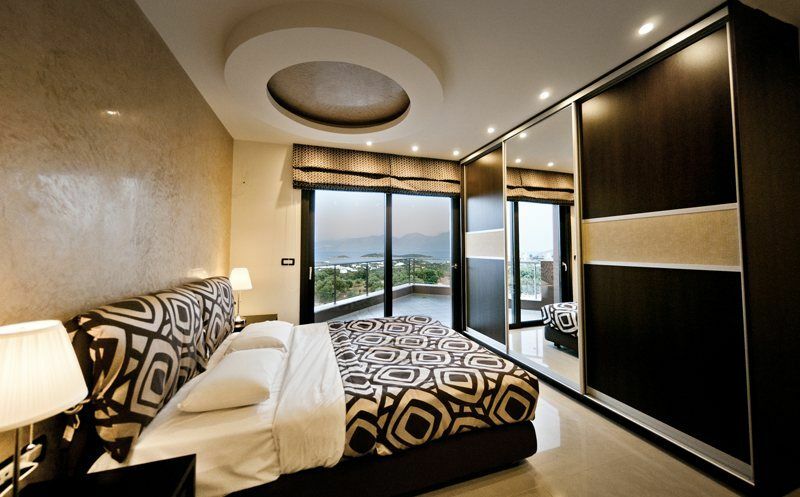 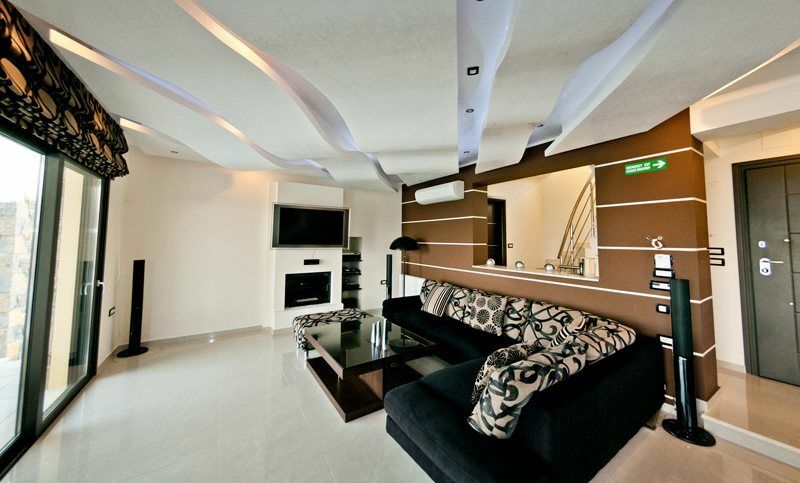 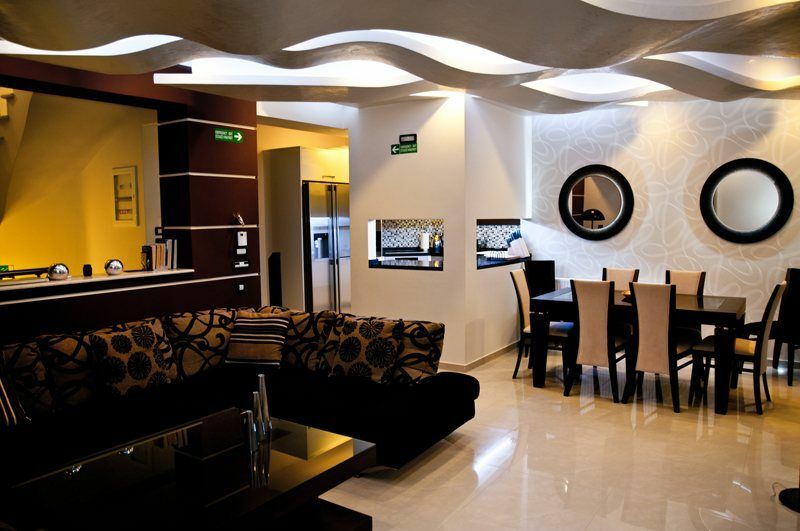 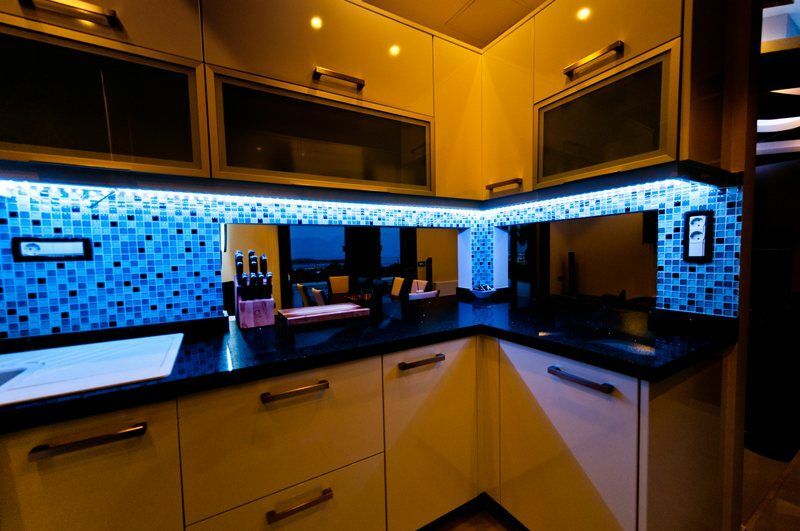 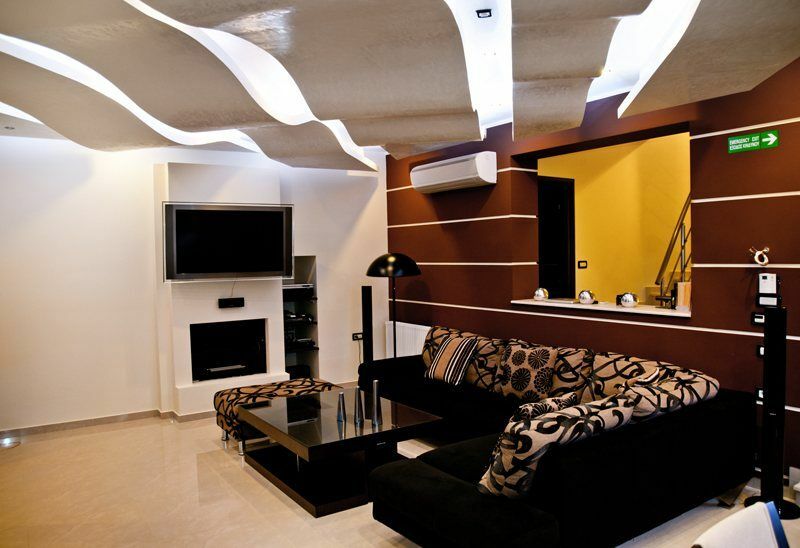 Villa is fully equipped with high quality furniture and electric appliances. 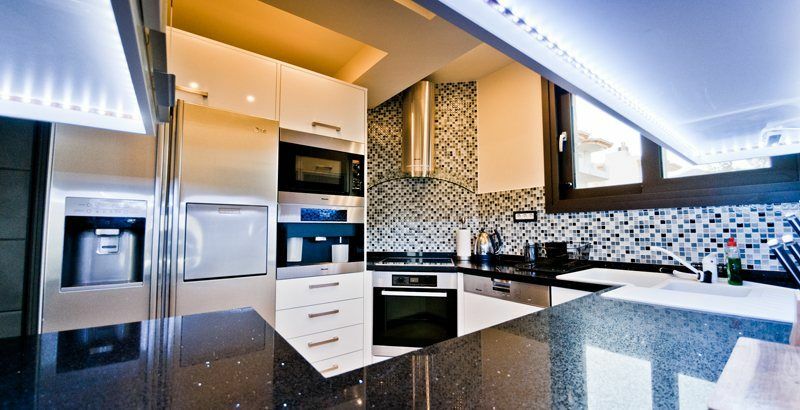 Kitchen has fridge/freezer, oven, dishwasher, espresso coffee machine, kettle, toaster and all kitchen utensils.